Get flat 10% off on rakhis for brother, bhaiya bhabhi, kida which you can send to make your beloved happy on this special day. 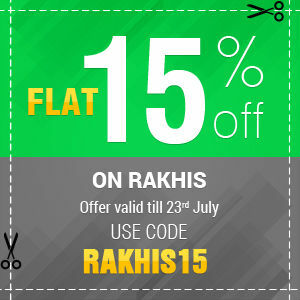 Use this coupon code to get the offer only on rakhi.GiftstoIndia24x7.com. This offer is valid till 23rd july 2017. To inquire about this coupon, complete the form below to send a message to the coupon poster.